Two thousand AK-47 automatic rifles, 20,000 magazines and two million rounds of ammunition. This is Ehud Olmert's Christmas present to P.A. Chairman Mahmoud 'Abbas' troops in the Gaza Strip. In addition to his approval of this arms shipment by Egypt Israel's Prime Minister has a bag full of goodies for the Palestinians including the release of prisoners and an ongoing policy of restraint in the face of continuous rocket attacks against Sderot. The goodwill gesture of arming Fatah forces so they can (hopefully) use the weapons against radical opposition was tried before in 1994. The Oslo Agreement permitted 7,000 guns to enter Gaza and Israeli right wing groups chanted the slogan "Don't hand them guns!" We know how it ended. Su-Shi Watch: Saudi fatwa: Shi'ites are "infidels"
The Saudi cleric Sheikh Abdel-Rahman al-Barrak, regarded by many as the highest authority for Wahhabi Muslims, doesn't like Shi'ites. In a fatwa issued this week he said: "The rejectionists (Shi'ites) in their entirety are the worst of the Islamic nation's sects. They bear all the characteristics of infidels. They are in truth polytheist infidels, though they hide this." "The Sunni and Shi'ites schools of Islam are opposites that can never agree, there can be no coming together unless Sunnis give up their principles," the fatwa said. Meanwhile in Iraq the Su-Shi war of words and swords is escalating. An Iraqi militant group linked to al Qaeda urged Iraq's Sunni Muslims to wage war on the country's Shi'ite Muslims. "Stand like one man ... and cut their (Shi'ites') throats, spill their blood, burn the ground underneath them, and rain bombs on them," said the speaker, who said he was the official spokesman of "the Islamic state in Iraq". "They (Shi'ites) have done more than the crusaders (U.S.-led forces) have been doing. They killed men, rendering women widows and children orphans, burned houses of God and tore his book." It's becoming obvious that the millenia long strife between Shi'ite and Sunni Muslims is well on its way to a full on conflagaration. From Baghdad to Beirut, from Riyadh to Cairo the battle for hegemony over the Muslim world is unfolding in extreme ferocity. Yet given radical Islam's war against the West, the war between the two branches of Islam often falls under the radar. 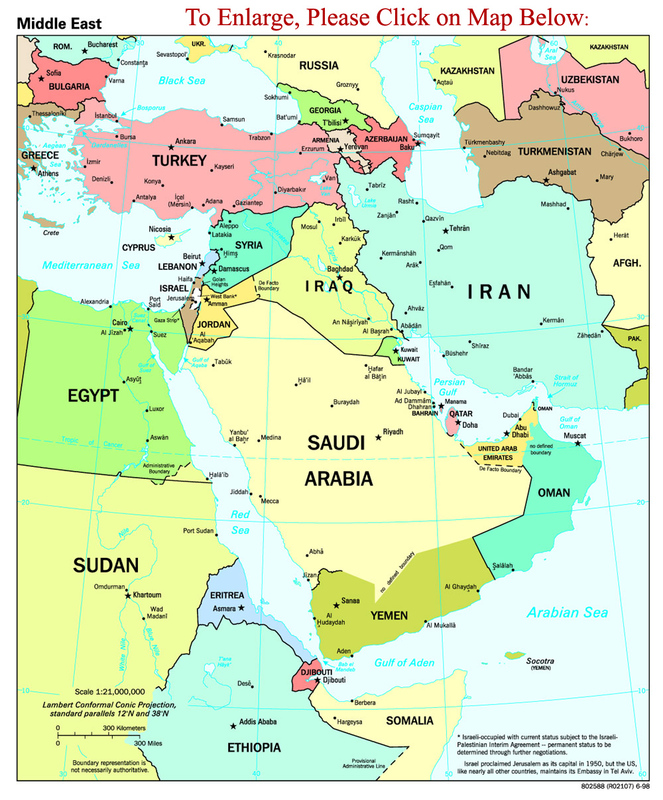 We'll be tagging posts that highlight this conflict as Su-Shi Watch from now on, and urge you to do so as well so that we can all get a clearer picture of the shifting balance of power in the Muslim world and how perhaps it can eventually be used to the advantage of the Free World. Egyptian columnist: "We must be more wary of the Shi'ites than of the Jews because the matter of the Jews is well known, and their deceitful deeds are known from the Koran and the Sunna, as well as from modern history... But as for the Shi'a, it may influence people through lies and deceit, under the pretense of protecting Ahl Al-Bayt - because most Egyptians have a particular affection for Ahl Al-Bayt, and this makes it easy to influence them and thus introduce Shi'ism into Egyptian homes." And in the same MEMRI article: Sheikh Yousef Al-Qaradhawi one of the most influencial Sunni clerics: "Shi'ite infiltration of Egypt will ignite a blaze that will destroy everything in its path." An analysis published in Proceedings, a journal of the National Academy of Sciences, confirms what many sanctions advocates have been claiming: Iran's economy is already crumbling due to the 10-year old sanctions regime. "Iran is suffering a staggering decline in revenue from its oil exports, and if the trend continues income could virtually disappear by 2015" the reports says. The sanctions regime that has been in place since 1996 has brought to a severe decline in investment in Iran's oil and gas sector. As a result Iran produces only 3.7 million barrels of oil a day, about 300,000 barrels below the quota set for Iran by OPEC. The shortfall represents a loss of about $5.5billion a year. The report's author, Roger Stern at Johns Hopkins University said: "If the United States can hold its breath for a few years it may find Iran a much more conciliatory country. [...] What they are doing to themselves is much worse than anything we could do." Mario Loyola at The Corner notes an FT report about how Iran's pariah status is affecting its ability to attract investment. The conference on Islam and nationalism that ended [in Dubai] on Friday issued a final declaration that called on all Arab countries to boycott products from "countries involved in attacks against Palestine, Iraq and Lebanon." The two-day conference brought together two major streams from the Arab world – Islamists and nationalists. 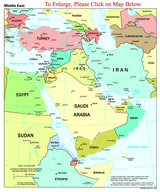 The final statement, which called for an economic boycott against forces invading the Arab region, however, stopped short of naming those countries. However, it was implied that Israel and the US were the main targets of the boycott call. In the very beginning the declaration said that the Americans and Zionists had joined together to destroy the Arab and Islamic identity of the region, under slogans like the New Middle East, Greater Middle East, reforms, democracy and so on. The conference hailed the Iraqi resistance against the continuing American occupation, and resistance of the Palestinian people and the victory of the Lebanese against the Israeli forces in the last war. It urged all the Arab countries to support by all means the ongoing struggle in these regions against the occupying forces. YouTube Video on Sectarian Problem: When Will the Lebanese be... Lebanese? FYI: Michael Totten has just returned from three weeks in southern Lebanon and Israel. Check back often to his site for photos, stories and more.